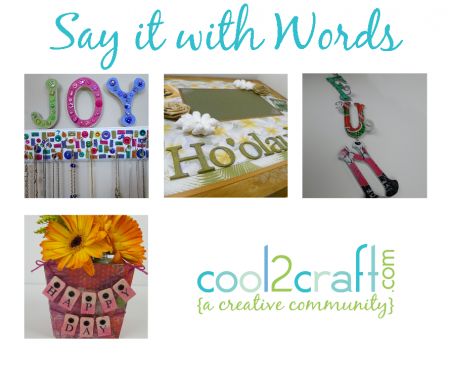 This week, the Cool2Craft design team is inviting you to Say it With Words! Join EcoHeidi Borchers, Tiffany Windsor, Candace Jedrowicz, and Lisa Fulmer for this week’s online episode featuring 4 new projects. 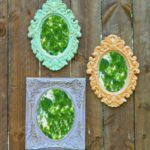 EcoHeidi is crafting F-U-N Soda Can Wall Art, Tiffany is creating a Happy Day Flower Basket, Candace is making a JOY Jewelry Holder and Lisa is crafting a Hawaii Memories Wood Panel. It’s easy to watch the Cool2Craft TV Channel right from your computer. Watch craft demos and join in the live chat at showtime at Cool2Craft.com. Monday February 11, 2013 – 9 am Pacific/10 am Mountain/11 am Central/noon Eastern. 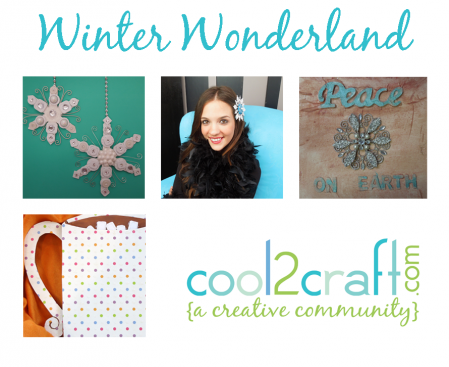 This week, the Cool2Craft design team is sharing a winter wonderland of creative ideas! Join EcoHeidi Borchers, Tiffany Windsor, Candace Jedrowicz, and Savannah Starr for this week’s online episode. EcoHeidi is crafting Cereal Box Button Snowflake Ornaments, Candace is crafting Hot Chocolate Wall Art, Tiffany is creating vintage inspired Winter Wall Art and Savannah is making Snowflake Glitter Barrettes. It’s easy to watch the Cool2Craft TV Channel right from your computer. Watch craft demos and join in the live chat at showtime at Cool2Craft.com. Monday October 29, 2012 – 9 am Pacific/11 am Central/noon Eastern. This week, the Cool2Craft design team is sharing fun and fabulous fall inspired crafts! Watch your favorite crafters create super cool projects and join in the on-line live chat. Join EcoHeidi Borchers, Tiffany Windsor, Candace Jedrowicz, and Savannah Starr for this week’s online episode. EcoHeidi is crafting a Soda Can Sunflower, Tiffany is creating a Rolled T-Shirt Flower Wreath, Savannah Starr is making Silver Leaf Earrings and Candace is crafting Fun Fall Pumpkins. It’s easy to watch the Cool2Craft TV Channel right from your computer. Watch craft demos and join in the live chat at showtime at Cool2Craft.com. Monday October 8, 2012 – 9 am Pacific/11 am Central/noon Eastern. The holiday season is just around the corner, and that means it’s time to start thinking about personalized projects. 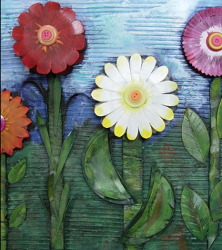 Decoupage can turn a plain surface into a colorful canvas. You can decoupage using paper, photos and so much more. Every decoupage-enthusiast knows that a quality decoupage glue and an equally well-made sealer is key to the perfect project. 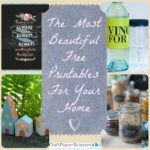 This month’s giveaway from Cool2Craft and FaveCrafts is perfect for anyone that loves to decoupage. With this Aleene’s Decoupage product assortment, you can create your own collages on everything from canvases to coasters! There are three kind of Aleene’s Decoupage products – glossy, matter and glitter. The gloss finish is shiny while the matte finish is more refined and understated. For an added touch of fun, use the glitter sealer for added shine. Each of these finishes will help you seal your projects give them a professional look. Not only can you adhere paper with each of these products, you can also use them to seal your piece and create an overall look for your piece. Best of all, you can use these sealers on a variety of surfaces. Decoupage on wood, glass, ceramics and so much more – this product assortment will help you get the job done. This glue is perfect for the whole family to use because it is acid-free and can be applied with a brush or fingertips. Let kids explore their creativity and create pieces that can be saved for generations. 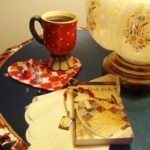 Decoupaged gifts are also a great option for the holiday season. Who doesn’t love a personalized piece they can display all year long? 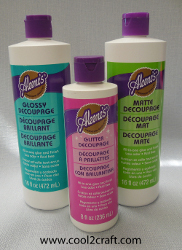 The Aleene’s Decoupage product assortment includes three products – a 16 ounce glossy, a 16 ounce matte and an 8 ounce glitter finish. Try your hand at different types of projects and try something new! This is a great excuse to get started. Enter to win an Aleene’s Decoupage Product Assortment now. This giveaway ends August 31st. 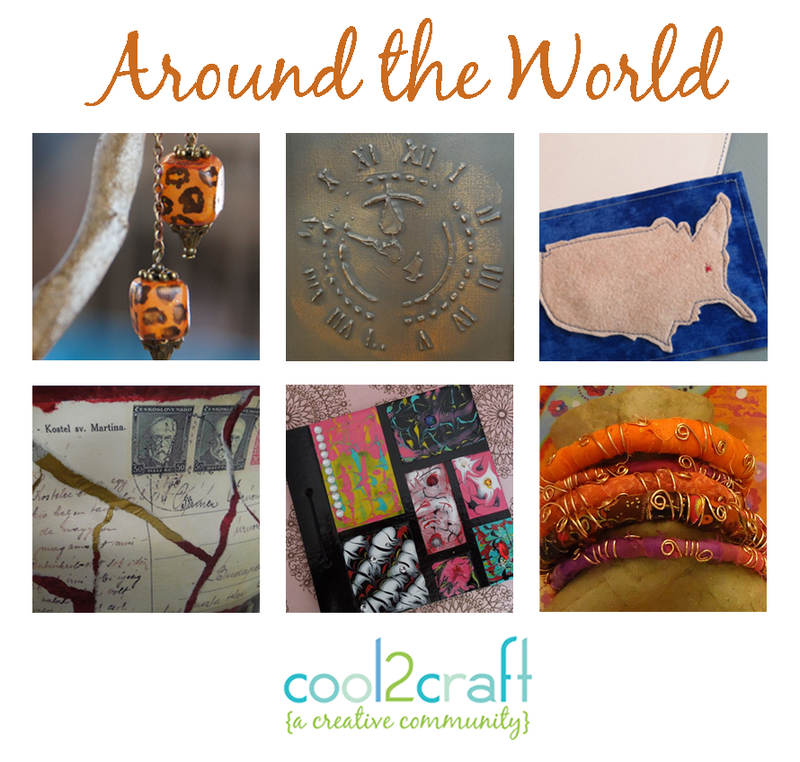 We’re excited to invite you to join us for Monday’s Cool2Craft TV. Our Cool2Craft special reporter, Lisa Fulmer, tours 10 booths to bring you our special CHA Summer 2012 episode featuring the coolest ideas, products and tools! Featuring Art Clay World, FloraCraft, USArtQuest, ImpressArt, KellyCraft, Stampendous, Rhinestone Genie, Little Darlings Rubber Stamps, Tombow and Westcott Scissors. It’s easy to watch the Cool2Craft TV Channel right from your computer. Monday August 13, 2012 at 9 am Pacific/ 10 am Mountain/ 11 am Central/ noon Eastern. Watch craft demos and join in the live chat at showtime at Cool2Craft.com. See you Monday! 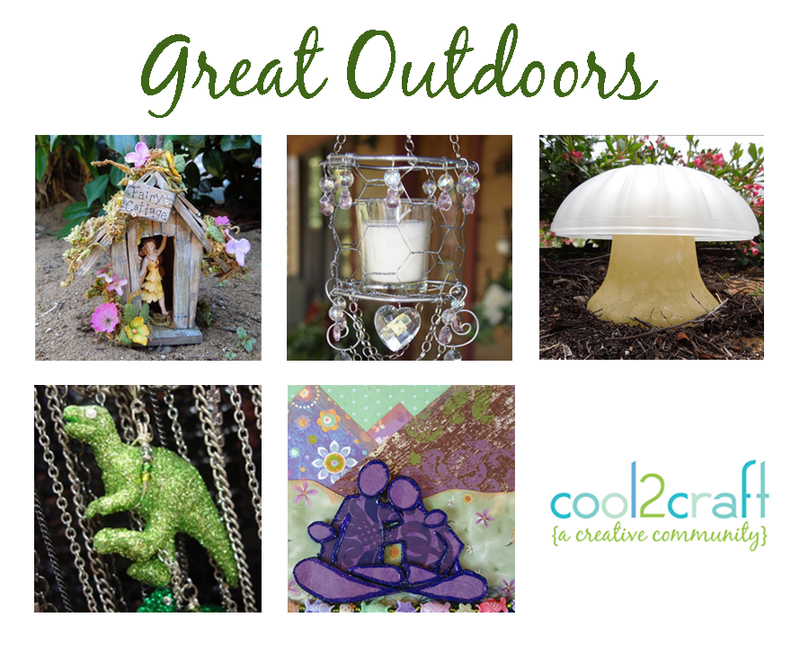 This week, the Cool2Craft design team is sharing a fun collection of great outdoors inspired ideas! Watch your favorite crafters create super cool projects and join in the live on-line chat. Join EcoHeidi Borchers, Tiffany Windsor, Candace Jedrowicz, Linda Peterson, and Savannah Starr for this week’s online episode. EcoHeidi Borchers is creating a Look of Enamel Travel Journal Cover, Tiffany Windsor is crafting Upcycled Whimsical Yard Art, Savannah Starr is making a Glittered Dinosaur Necklace, Candace Jedrowicz is decorating a Mixed Media Canvas, and Linda Peterson is crafting an Outdoor Candle Chandelier. It’s easy to watch the Cool2Craft TV Channel right from your computer. Monday July 2, 2012 at 9 am Pacific/ 10 am Mountain/ 11 am Central/ noon Eastern. Watch craft demos and join in the live chat at showtime at Cool2Craft.com. See you Monday! This week, the Cool2Craft design team is sharing around the world inspired ideas! Watch your favorite crafters create super cool projects and join in the live on-line chat. Join EcoHeidi Borchers, Tiffany Windsor, Candace Jedrowicz, Linda Peterson, and Savannah Starr for this week’s online episode. EcoHeidi Borchers is creating a Travel Journal with the vintage Aleene’s Look of Copper Enamel technique, Tiffany Windsor is crafting a Tick Tock Stenciled Clock, Savannah Starr is making a Collaged Water Jug Bank, Candace Jedrowicz is creating Gypsy Bracelets and Linda Peterson is crafting Animal Print Safari Earrings. It’s easy to watch the Cool2Craft TV Channel right from your computer. Monday June 25, 2012 at 9 am Pacific/ 10 am Mountain/ 11 am Central/ noon Eastern. 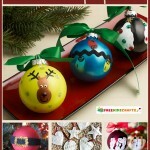 Watch craft demos and join in the live chat at showtime at Cool2Craft.com. See you Monday! This week, the Cool2Craft design team is sharing glitter your garbage ideas! Watch your favorite crafters create super cool projects. Join EcoHeidi Borchers, Tiffany Windsor, Candace Jedrowicz, Linda Peterson and Savannah Starr for this week’s online episode. 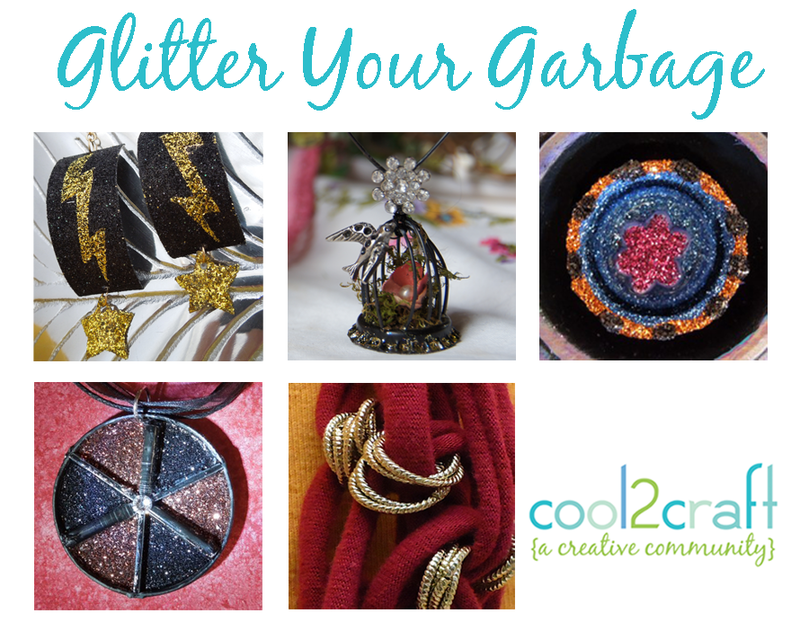 EcoHeidi is creating a Pizza Box Spacer Glitter Pendant, Candace Jedrowicz is crafting a Charming T-Shirt Necklace, Savannah Starr is making Lighting Bolt Earrings, Tiffany Windsor is creating Glitter Your Garbage Magnets and Linda Peterson is making a Bottlecap Birdhouse. It’s easy to watch the Cool2Craft TV Channel right from your computer. Monday May 28, 2012 at 9 am Pacific/ 10 am Mountain/ 11 am Central/ noon Eastern. Watch craft demos and join in the live chat at showtime at Cool2Craft.com. See you Monday! 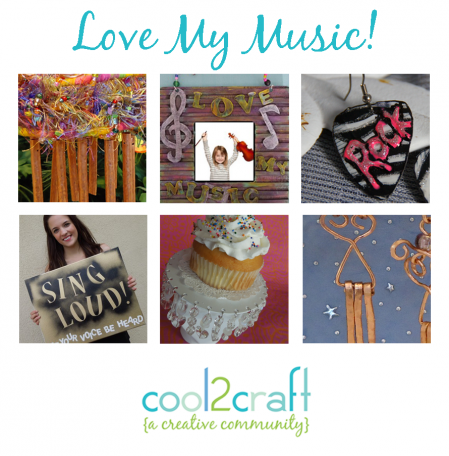 This week, the Cool2Craft design team is sharing music themed ideas! Watch your favorite crafters create super cool projects. Join EcoHeidi Borchers, Tiffany Windsor, Candace Jedrowicz, Linda Peterson and Savannah Starr for this week’s online episode. 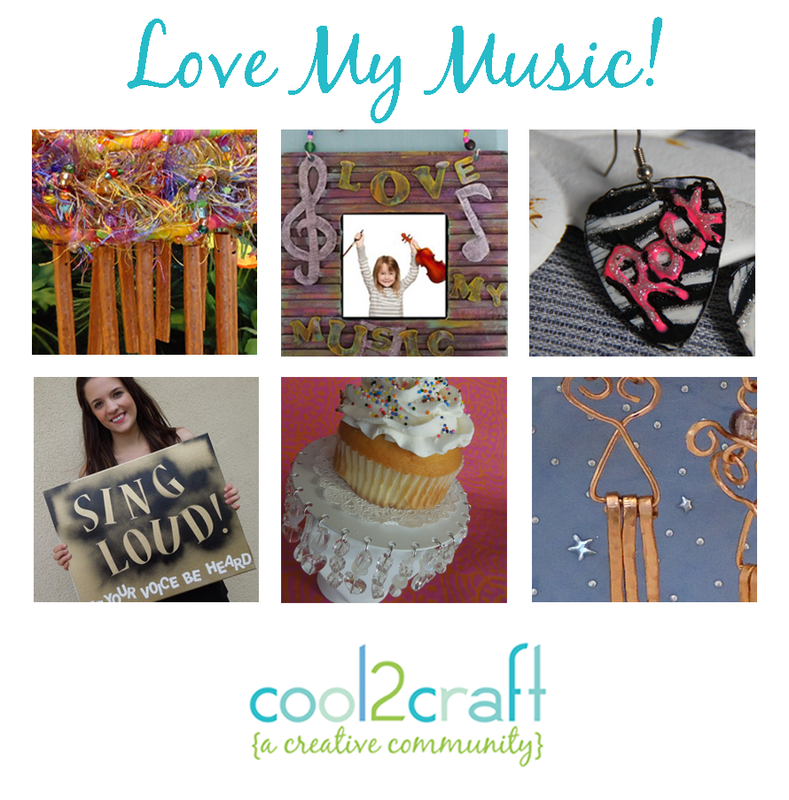 EcoHeidi is creating a Love My Music Craft Foam Frame, Candace Jedrowicz is crafting Make Your Own Chimes and Softly Chiming Earrings, Tiffany Windsor is making a CD Cupcake Holder, Savannah Starr is spraying a Sing Loud Canvas and Linda Peterson is creating Guitar Pick Earrings. It’s easy to watch the Cool2Craft TV Channel right from your computer. Monday May 21, 2012 at 9 am Pacific/ 10 am Mountain/ 11 am Central/ noon Eastern. Watch craft demos and join in the live chat at showtime at Cool2Craft.com. See you Monday! You’ve probably seen it – that little gold bottle with the white lettering. I first encountered Aleene’s Tacky Glue when I was in Girl Scouts. I would create great projects using craft foam, cotton balls, Popsicle sticks and more. While the projects changed each week, one thing remained constant – my mom and the other troop leaders would set out bottles of Aleene’s Tacky Glue for us to use. Little did I know back then just how influential this product is in the world of crafting. Aleene’s Tacky Glue is part of a huge line of crafting products which originated with Aleene Jackson. Aleene love for crafting and creating was was passed down to her daughters. One of those daughters, Tiffany Windsor, took her love for crafting a step further and launched Cool2Craft in 2009. 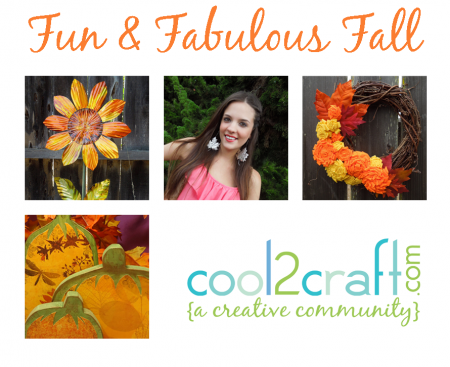 The Cool2Craft live show and website provide crafty tips and tutorials that help foster creativity and foster community. In 2010, Tiffany and FaveCrafts teamed up for the Cool2Craft newsletter, which mails twice a week. 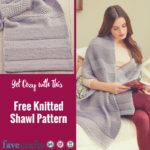 The Cool2Craft newsletter pulls the website, video channel and more to bring you unique crafts every single week. 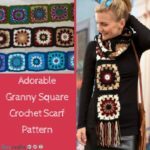 Every Tuesday, you’ll find featured videos from the most recent Cool2Craft live web broadcast and exclusive projects from the design team. 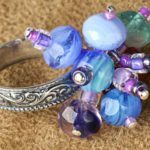 From recycle crafts by EcoHeidi Borchers to creative polymer clay projects from Candace Jedrowicz, there’s never a shortage of ideas. The Friday issue of Cool2Craft features more great projects, opportunities to enter to win prizes and FaveCrafts tutorials you might have missed. In Friday’s issue of Cool2Craft, you’ll find amazing floral crafts to make for spring and summer! 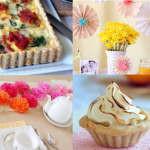 There are so many easy ways to incorporate flowers into your crafts – whether it means wearing one in your hair or adding a bread dough floral to a home decor piece. In fact, the bread dough recipe featured in this newsletter is a vintage Aleene technique! 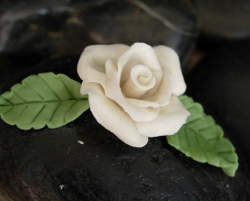 Use Tacky Glue and stale bread to create your own pretty Bread Dough Rose. You can add one to almost everything! Another popular Cool2Craft project featured in the newsletter is Cardboard Ribbon Spool Flowers from EcoHeidi Borchers. You can upcycle cardboard ribbon spools and turn them into pretty florals! Once you’ve created a few, add them to a canvas and display them in your home. There are 35 more floral crafts featured in this issue, but you won’t to see them if you don’t subscribe to the newsletter! Tiffany has so many great ideas and insights that are sure to capture your imagination and get you in the mood to create. Plus, you can’t enter to win cool prizes like a Beadalon Wire Assortment if you don’t sign up! Subscribe Now – It’s Free! Cool2Craft is all about community – when you sign up for the newsletter, you’re introduced to great craft designers and their amazing projects. Even if you’re a craft beginner, you can still find projects to try and creative inspiration to keep you going. If you’re already a subscriber, please pass this info along to your other crafty friends. Subscribe to Cool2Craft and receive your first issue within the next few days. Before you know it, you’ll have so many free tutorials and crafty ideas, you won’t know where to begin!